If you've been following me for a while you'll know how much I love this cushion cover. 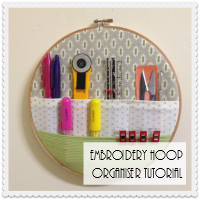 You may even recognise it from the now retired Quilted Cushion Cover Tutorial I wrote quite some time ago. 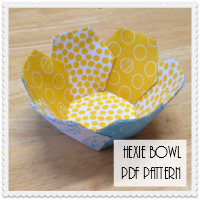 I decided it was time to release this great pattern as a free PDF, so I took the opportunity and jazzed up the tutorial too. 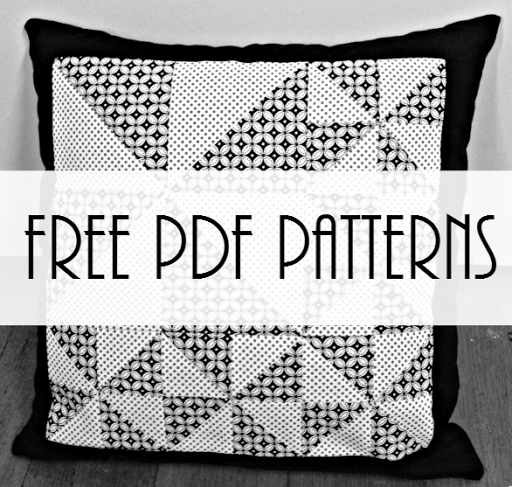 This tutorial and free PDF pattern are made possible due to the sponsorship of the fabulous team over at The Oz Material Girls. 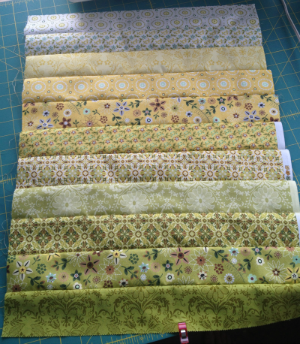 Eleven 2 ½’’ x 16'' coordinating strips of fabric for the Cushion Front. 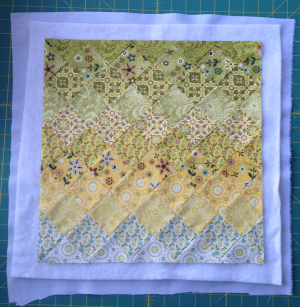 Strips from a jelly roll are great for this project. Two 14 ½’’ x 10 ½’’ rectangles for the Cushion Back. 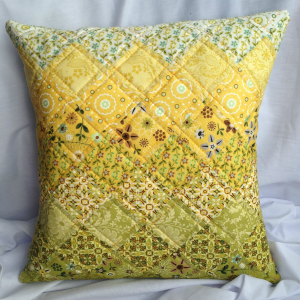 Size 14 cushion (36cm x 36cm). (Optional) Batting, approximately 16'' x 16''. (Optional) Scrap fabric for quilting the Cushion Front, slightly larger than the batting. This will end up on the inside of the cushion so it doesn't need to be anything fancy. Use a ¼’’ seam allowance unless otherwise stated. Decide on the order in which you would like the strips to appear on the Cushion Front. E.g. darkest to lightest. I find taking a photo and viewing it through my camera phone can really help when making decisions with fabric. 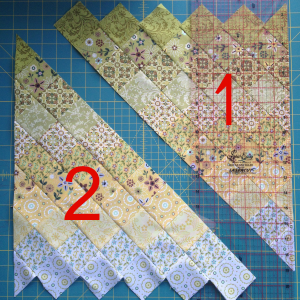 With right sides together, sew the eleven 2 ½’’ x 16’’ strips, in order, along the long edge. 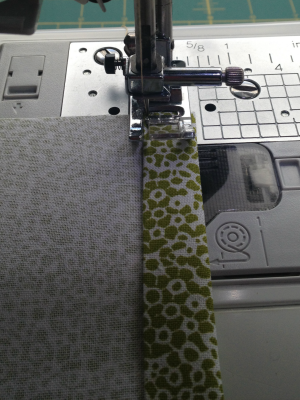 Pinning the strips prior to sewing can help prevent them stretching. 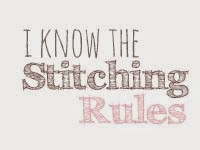 Note: I recommend using a smaller than normal stitch length to help keep the stitches in place when you sub-cut them later. 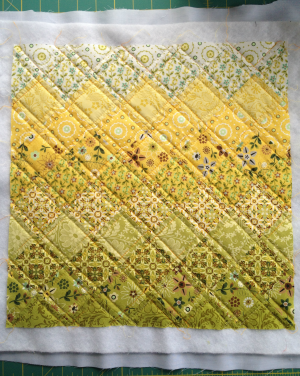 There is no need to backstitch at the start or end of the strips. 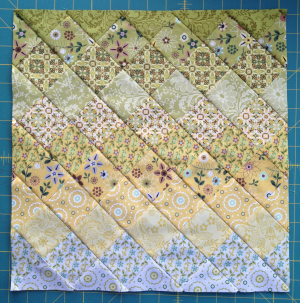 Press each seam in alternating directions. E.g. press seam one up, seam two down, seam three up etc. I apologise for the different fabric in the next two images. My original photos were not clear enough and it seemed like a waste to redo the entire tutorial for the sake of two photos. Press the seams in alternating directions. Trim one edge to square up the unit. 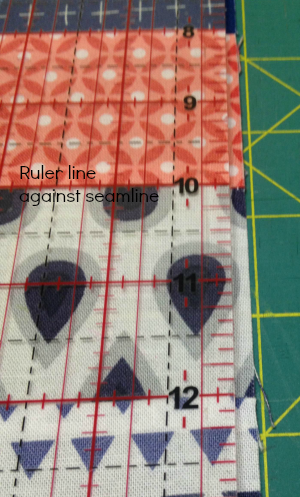 Note: Aligning the horizontal lines of your ruler with the seam lines will help with keeping the cut straight. Flip the unit so that the trimmed edge is to the left (this may be reversed if you’re left-handed). Sub-cut into six 2 ½’’ strips. 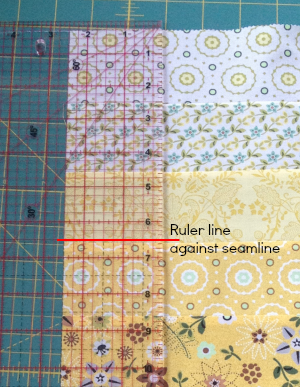 Again, align the horizontal lines of your ruler with the seam lines. 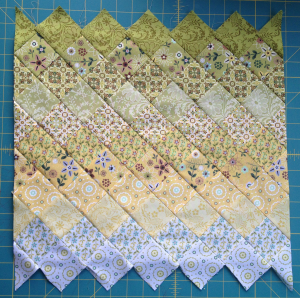 Take two strips and stagger them so that the first seam of one strip is in line with the second seam of the next strip. Note: This image is simply to show the staggering of the strips. You will sew them with right sides together and raw edges aligned. Make sure the seams are aligned. They should nest together neatly due to them being pressed in opposite directions. 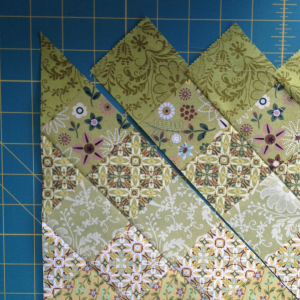 Pin the strips together at the seams to helps keep them in place. 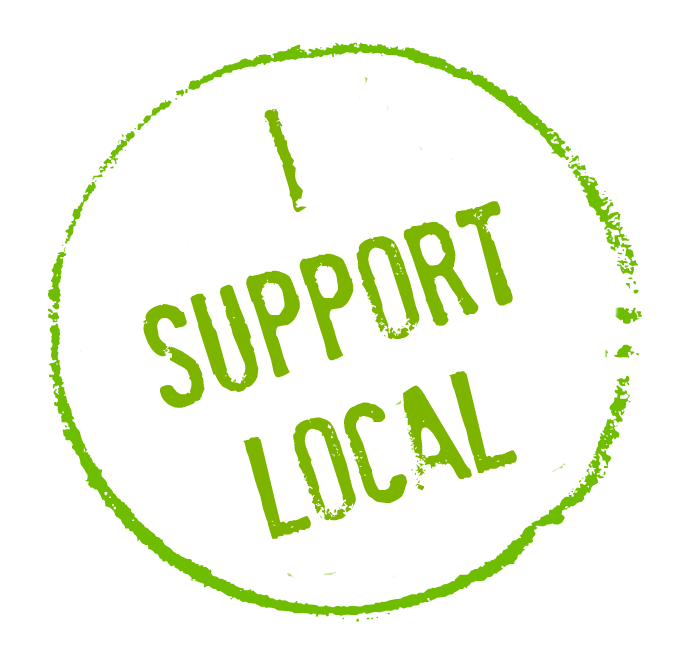 I usually only pin the first one or two seams, but you may be more comfortable pinning them all. 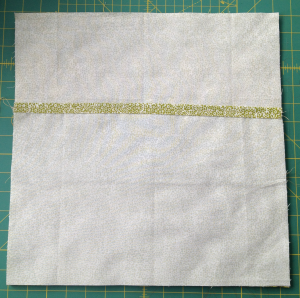 Keeping the raw edges aligned and seams nested together, sew the strips together. Press the seam in any direction. Sew the first two strips, keeping the seam aligned. Continue in this manner until all six strips are joined, remembering to stagger the seams each time. Lay the unit on your cutting mat and ensure it is sitting flat. Cut through the strip diagonally as shown in the images below. 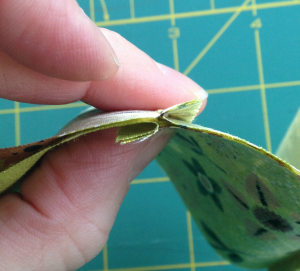 Note: Try and keep the cut as neat as possible, going through the intersection of each seam. 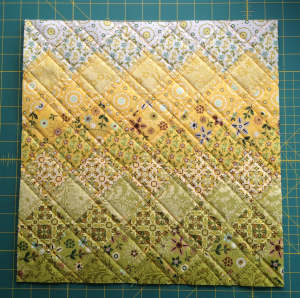 The first and last squares will be slightly off due to the seam allowance. Don’t panic if things don’t line up perfectly. Just be as accurate as you can. Switch the two pieces around so that the cut edges are now on the outside. Sew the two pieces together, staggering the seams as you did previously. Trim the unit to approximately 14 ½’’ x 14 ½’’. I’m not too particular about where I trim, i.e. I don’t aim for dead centre of a square or anything like that. 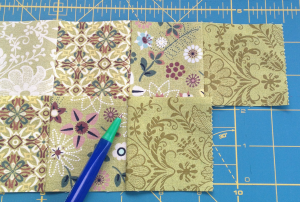 Note: If you are quilting your Cushion Front you may choose to not trim until after the quilting is complete. This step is entirely optional but looks fantastic and can add interesting texture to your cushion. Baste your Cushion Front to the batting and scrap backing fabric. You can use whatever method suits you. Pins, curved safety pins etc. I like to use basting spray. It keeps everything in place and means I can avoid pins (they're not my friend). 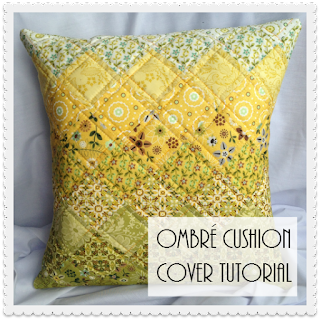 Quilt the cushion front in your preferred method. 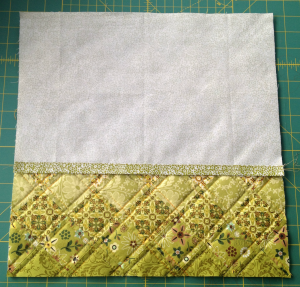 I have used a walking foot to quilt lines 1/4'' from each side of the seams. How awesome is the back?? 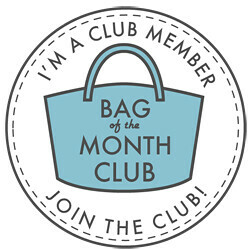 If you haven’t already done so, trim off the excess batting and scrap fabric, keeping the front at approximately 14 ½’’ x 14 ½’’. Take the two 14 ½’’ x 10 ½’’ Cushion Back rectangles. 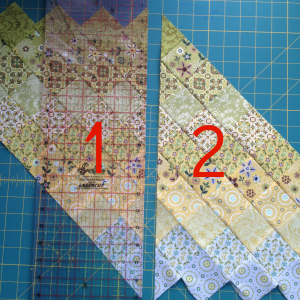 On each piece separately, fold one long edge down 1/2'', press and then down another 1/2'' and press again. Take the Cushion Front and lay it right side up. Take one Cushion Back piece and lay it on top of the Cushion Front, right side down and with the hem in the centre. Lay the second Cushion Back piece right side down and in the opposite direction to the first. Pin and sew around all four edges, using a 1/4'' to 1/2'' seam allowance. 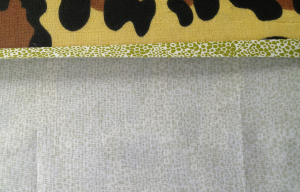 Note: I like a snug fit so use a 1/2'' seam allowance, making the cushion cover slightly smaller than the cushion size. 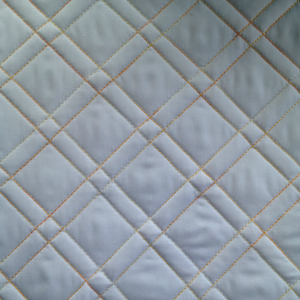 If you have quilted your cover, or are worried about the cushion not fitting, use a 1/4'' seam allowance. 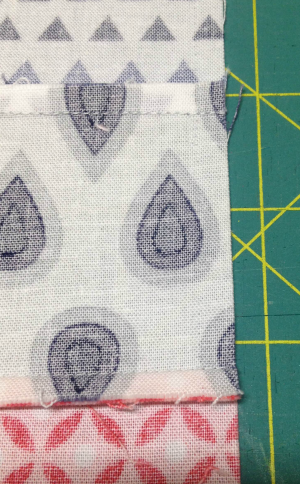 If desired, finish the seams with an overlocker or zigzag stitch. ...you have a beautiful ombré cushion. 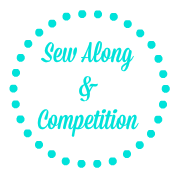 I would love to see your finished cushions so be sure to share your creations on my Facebook Page or on Instagram using the hashtag #sewtodaypattern. 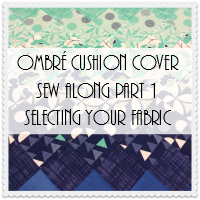 Visit the following pages for more hints and tips on creating your Ombré Cushion Cover.